As we approach the first anniversary of the Surface Pro 3 release in New Zealand, I’ve been reflecting on the fact that we now have 26 staff members using them across the school. 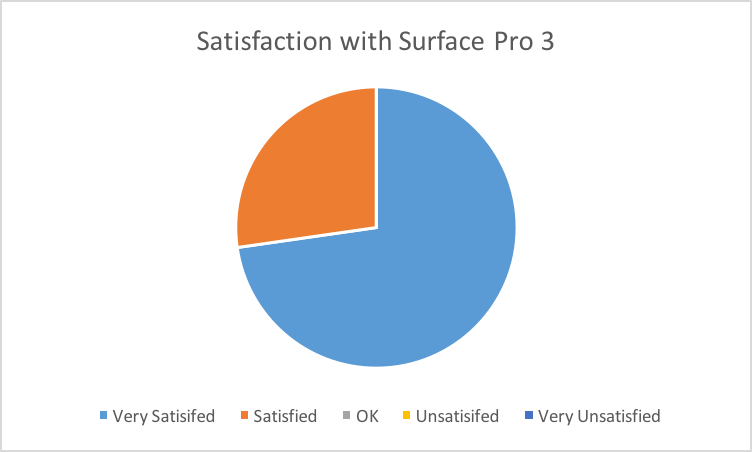 An earlier update on how how teachers have been using the Pro 3 in their classes remains one of the more popular posts on this blog and in anticipation of teacher demand for tablets in 2016, I have surveyed those staff members who use a Surface Pro 3. Using SurveyMonkey I have collated some interesting feedback from teachers and share it here for the benefit of other schools that may be interested in exploring the tablets for their teachers. 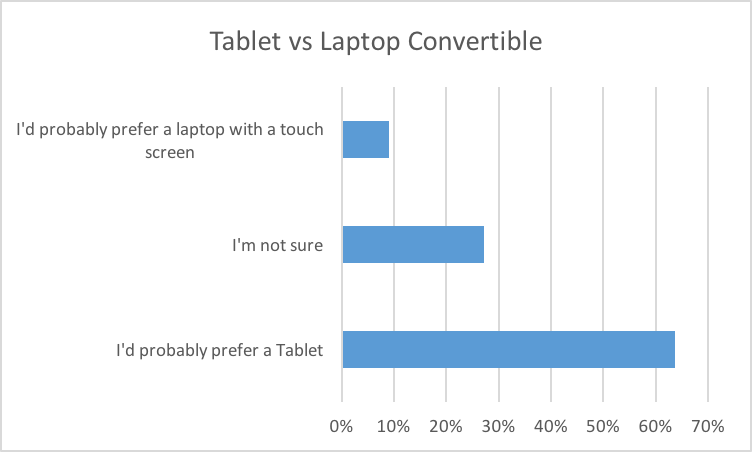 What is not mentioned above is the functionality – the Surface is far more functional than a laptop as it doubles as a tablet, when needed. 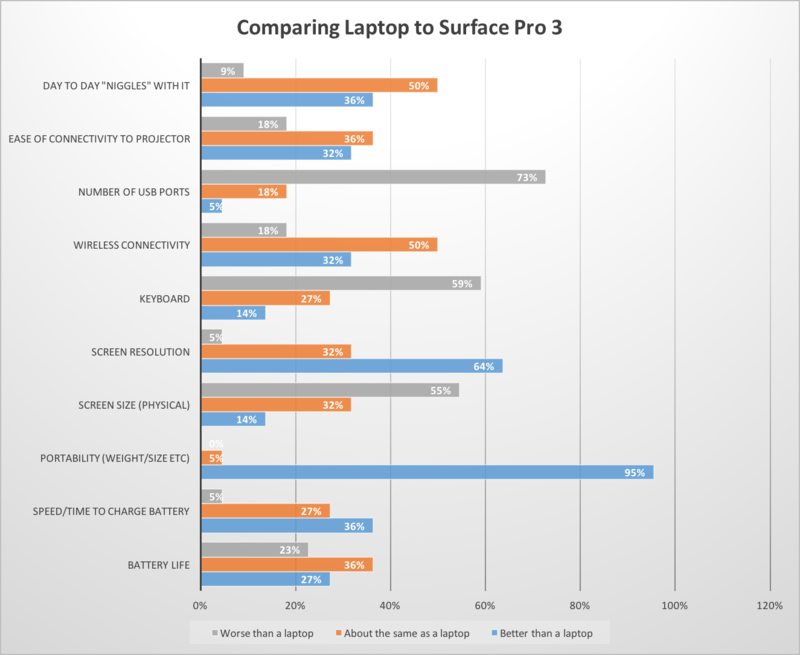 This is the huge advantage of a Surface over a laptop. The keyboard needs to be taken off and reattached to remedy glitches. The keyboard is small and I often hit the caps button. Consider body posture when using the Surface Pro 3 so that you are not hunched. Before putting a plastic box on the desk and under the tablet, I would wonder why I had a sore neck/back/eyestrain. Clearly, the ability to roam a classroom “untethered” from the front and a data projector cable is a big drawcard for teachers and a trend I see only growing as the technology becomes more reliable. Some departments at St Andrew’s College would love to change the requirement for students that all devices must support “inking” in some format, and it’s easy to see why: subjects that involve diagrams, formula and equations would be significantly easier for students if they could simply handwrite directly into OneNote. 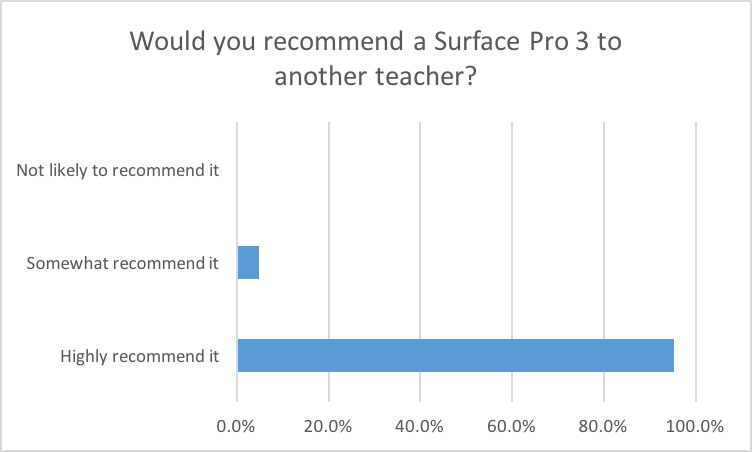 Ultimately, the value of any device to a teacher can be measured in whether they would recommend it to their colleagues: on this point, the teachers were almost unanimous. A number of staff in the Prep School who opted for laptops now regret their choice and given the opportunity would switch to a surface. 8 students in my class now use surface tablets – 2 having switched from Mac. How has the practice of our teachers changed with the Surface Pro 3? My practice has not changed, but the mobility of the Surface and the fact that will do all I ask of it has adapted my style. I am able to work with the students annotating a piece of writing or work through maths problems using the stylus and each child is able to revisit this learning through OneNote. The mobility, wireless projector connectivity and stylus allow me to get away from the desk and be with the students when teaching. Most importantly – the students use of the Surface to share with others is powerful. They take my surface and use it to explain concepts to a group when linked to the projector and when used in conjunction with OneNote, students collaborate in real time on a piece of learning using their stylus on their own Surface tablets. It has not changed my practice, but has complemented it very well. I already used my own Surface in conjunction with a school laptop. Before the Surface, I used my phone to do many of the same functions, complemented by a laptop. Having a Surface provided by school has meant operating fewer devices for the same outcomes, making it easier when you don’t have your own classroom. Less time at my desk and more time with students. Ability to take teaching outside the classroom, faster and with more resources. Being able to show examples of preferred practices with ease and ability to document past/current teaching and interactions with the students has been key. Students are assisted by this to become more reflective learners. (ability to revisit work via OneNote). 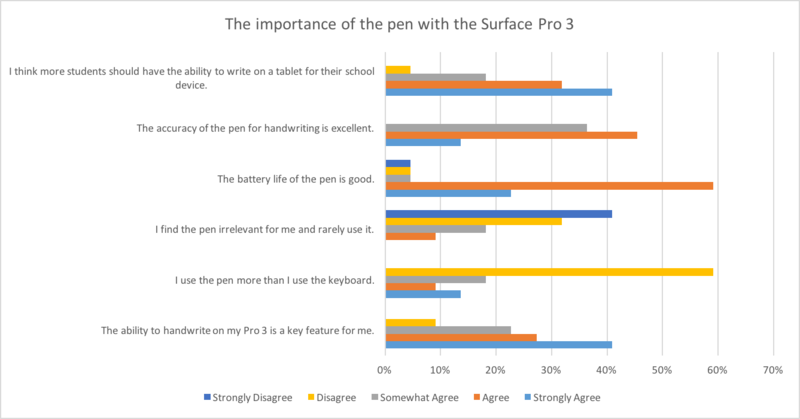 A recurring theme comes through in these responses in terms of how a tablet, with the ability to ink, enhances the value of Microsoft OneNote, a key tool that is being used at our College. The above information is important for the ICT team to understand. Like many schools, we lease our teacher laptops/devices and renew these every three years. 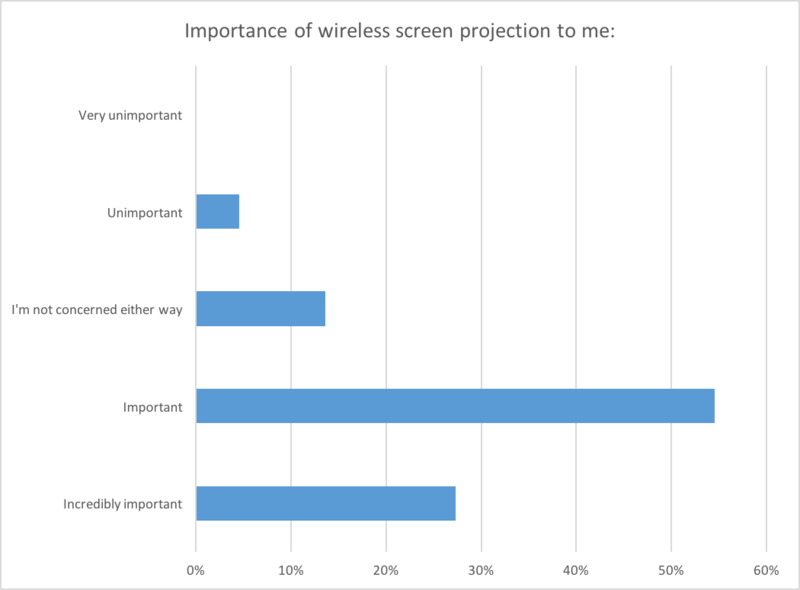 The teaching staff leases are split into three, so each year we replace 1/3 of the devices (around 45-50), and I anticipate that the majority of our teachers who are up for a new device in 2016 will want something they can write on. The above information will be disseminated to those teachers to help them make informed decisions and also assist the ICT department in providing the best support possible.